The Paley Center LA is getting its Halloween on! 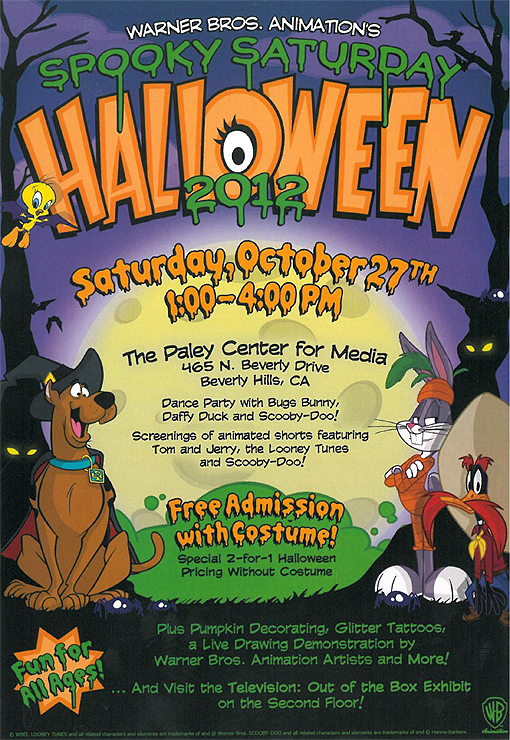 Enjoy pumpkin decorating, demonstrations by WB animators, screenings, dancing with Bugs Bunny, and more on Saturday, October 27. © WBET, Looney Tunes and all related characters and elements are trademarks of and © Warner Bros. Scooby-Doo and all related characters and elements are trademarks of and © Hanna-Barbera.